The NLA’s Inked: Play project adds to the survey exhibition of Australian cartoons. Photo: Supplied. Dr Guy Hansen at the National Library thinks that most cartoonists are probably just people who have never stopped drawing, even when they’ve moved on from dinosaurs, space rockets and their mums to less-than-flattering prime ministerial portraits. 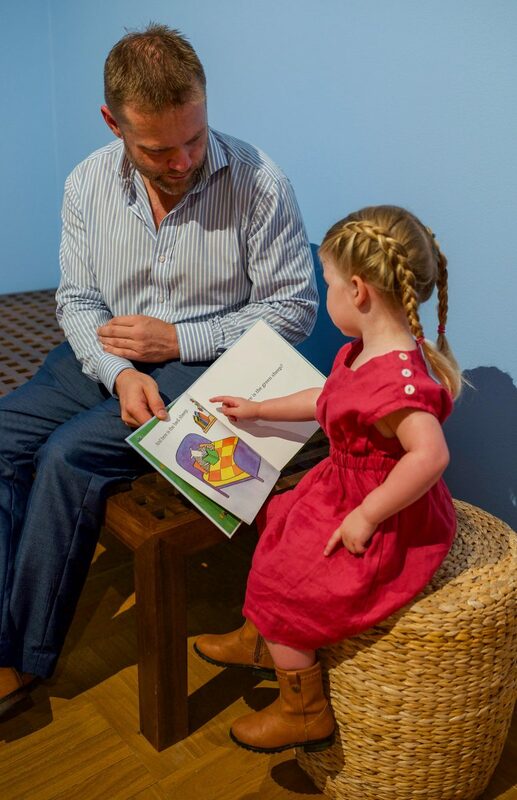 “Whenever we do visual exhibitions at the Library, we notice how much children love interacting with drawing,” he says of the Inked: Play project at the Library, in collaboration with the major Australian cartooning show. Inked: Australian Cartoons presents a selection of the best cartoons from the National Library of Australia’s extensive collection of over 14,000 cartoons by dozens of different artists, covering the period before the arrival of the First Fleet in 1788 up to the present. “It’s a very natural thing for children to address ideas by drawing. Cartooning is about ideas from an adult perspective, but the practice itself is very natural for children. The kids might not recognise the personalities in the show, but they recognise great drawings,” he says. Some cartoons are more relatable for the younger generation: children can see the famous Gumnut Babies going off to war, then create their own cartoon or draw a protest sign to hang on the display wall. Dr Hansen explains that the Inked show is also signposted at child’s eye level to prompt conversation between children and their parents or carers. “We’ve got a series of labels in a different colour with our Inky mascot, with some questions or prompts for the adults to engage,” he says. “We’re not assuming that the parent knows everything! Dr Hansen says he hopes parents will chat with their children as they walk through the show and create some prompts to explore Australian history. When they get to the end, it’s time for the children (and perhaps some bigger kids too) to engage with their own creativity in the drawing space. “We’re priming their brains with great illustrations and then giving them permission to express themselves immediately, in the same space, right away. We’ll even hang their drawings,” he says. Inked: Play is open daily as part of the Inked: Australian Cartoons free exhibition at the National Library of Australia, until July 21.